Beach Time!! Gulf front!! First Floor Unit!! Come visit us and see why people keep coming back!! Best Building Location in the Complex! 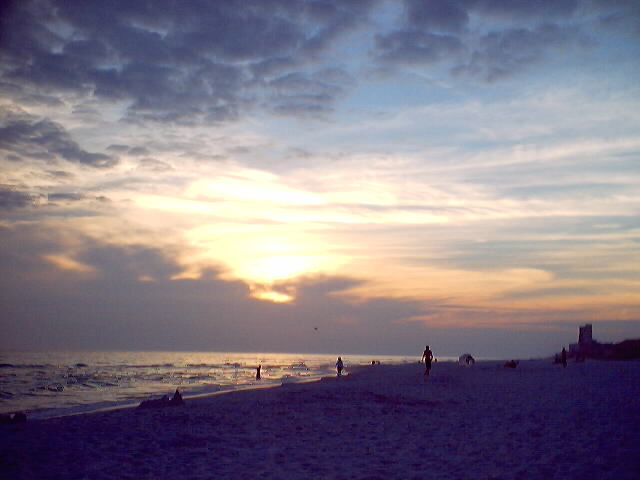 Seagrove Beach, Florida Panhandle, Florida (between Seaside & Rosemary Beach). 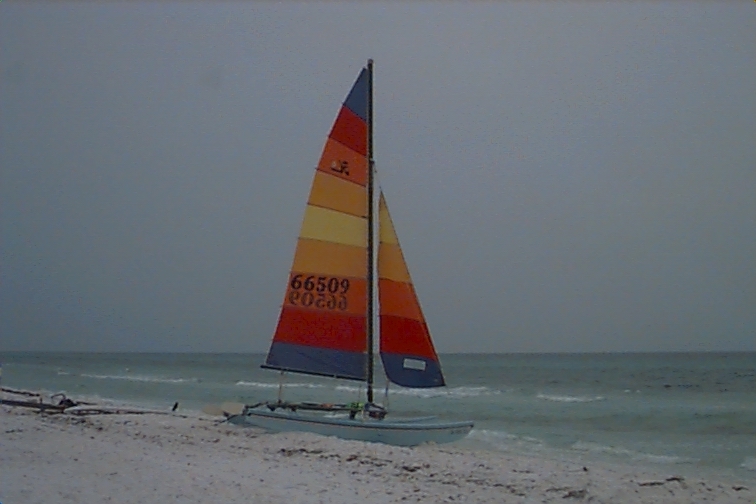 Off 30A! Both Panama City and Destin are each located only 25-30 minutes max drive time away. 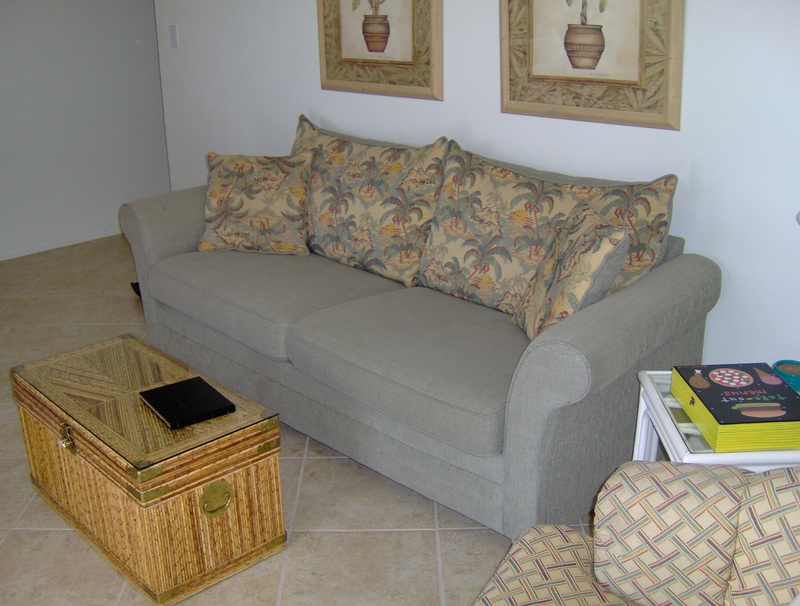 Condominium- 2 Bedrooms, 2 Baths + Sleeper Sofa - Sleeps 4-6 persons. 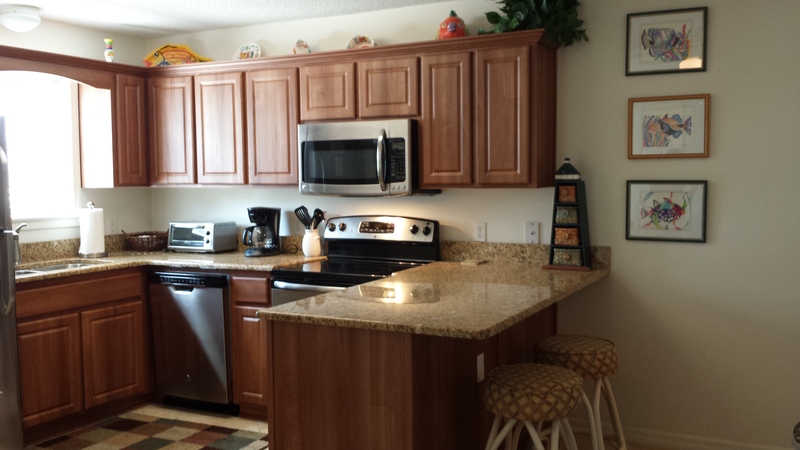 You are only steps from the beach in our first floor unit! 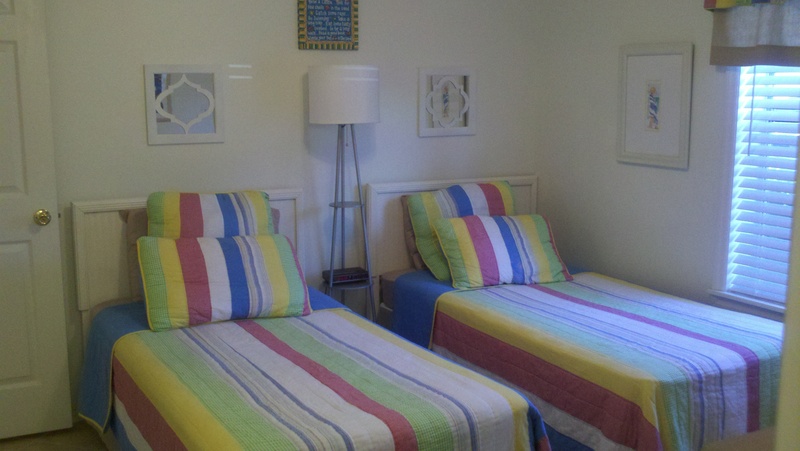 Our condo is in building 6 which is the closest to the beach of all the units in the complex! 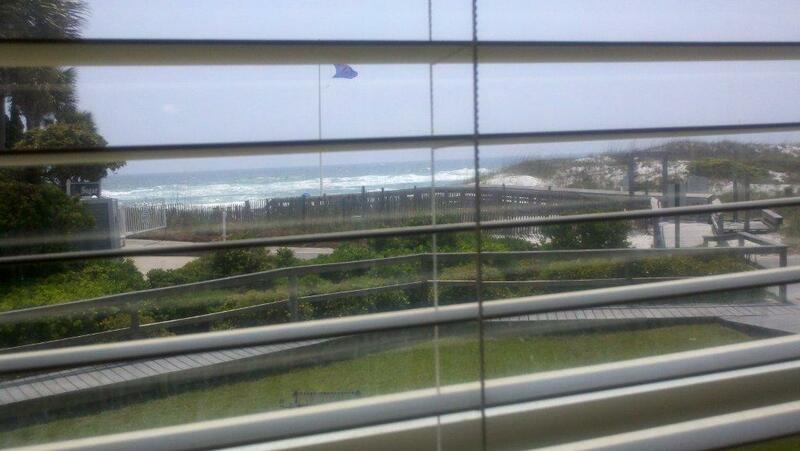 Terrific view of the Gulf! The condo has a master suite with a king size bed. The second bedroom has twin beds and a pull out sleeper sofa is in the living room. Kitchen is fully equipped. YES! 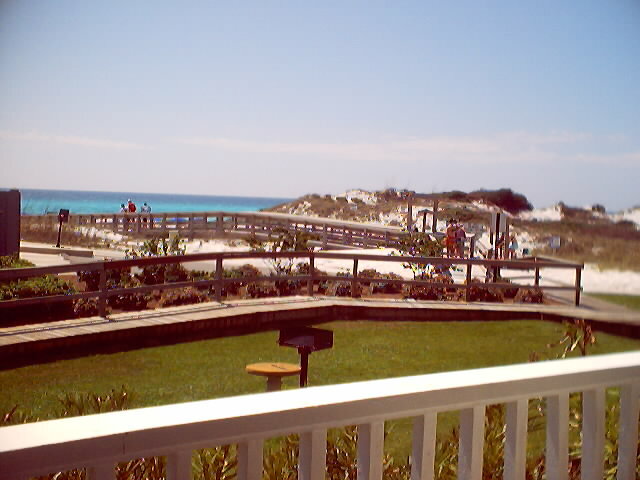 - This is the Actual View of the Boardwalk, the Beach and the Gulf Directly From Our Condo Porch/Living Room. Only Steps to the Beach! 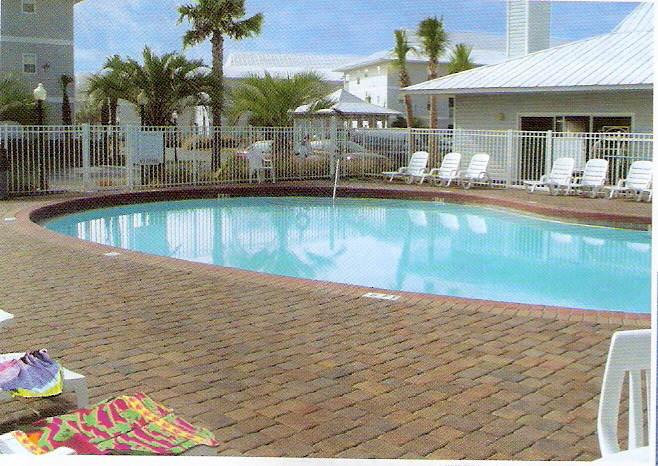 Amenities: Beachside Villas has two updated HEATED pools and lighted and resurfaced tennis courts. Charcoal BBQ grills located in common areas. 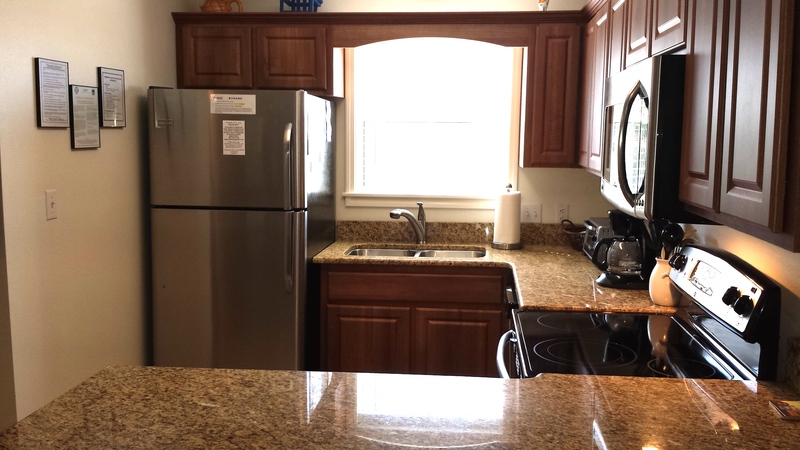 The condo has cable TV, DVD, VCR, CD-Stereo, free WiFi, fully equipped and updated kitchen with stainless steel refrigerator, stove, microwave, dishwasher as well as the condo has a new full sized washer & dryer. Towels & lines are provided. Beach Chair and Umbrella rentals available. 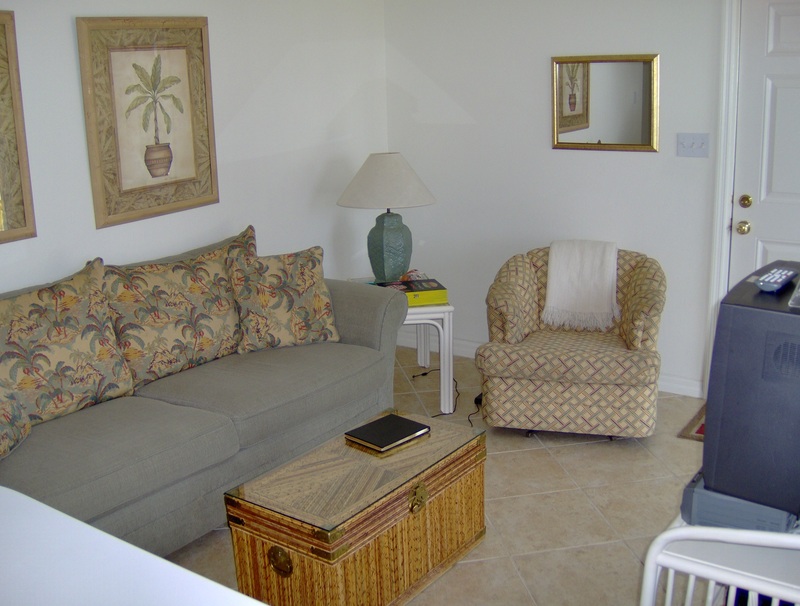 Beachside Villas is a well maintained and clean community. 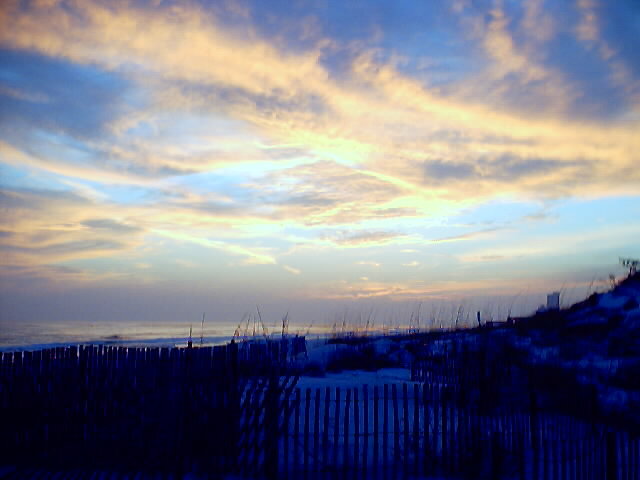 Activities Onsite & Nearby Include: Dining & shopping at nearby Seaside, Grayton Beach & Rosemary Beach. 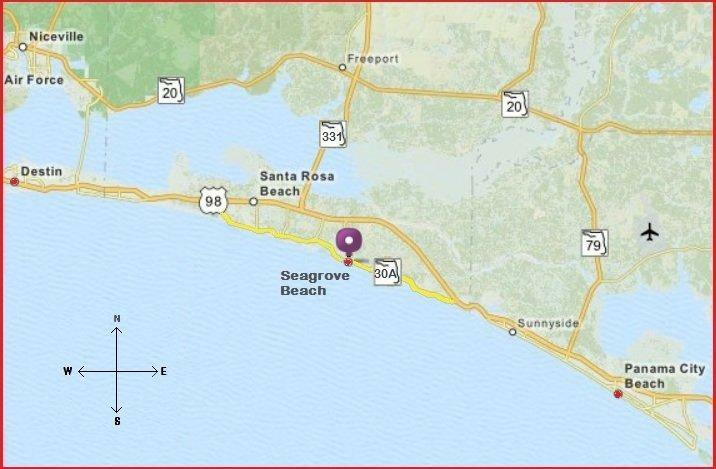 GOLF, FISHING, TENNIS, SWIMMING, WATER SKIING, BOATING, WATER PARKS, DEEP SEA FISHING, OUTLET MALLS and walking, running and biking on the 17 mile paved path along famous Highway 30-A. 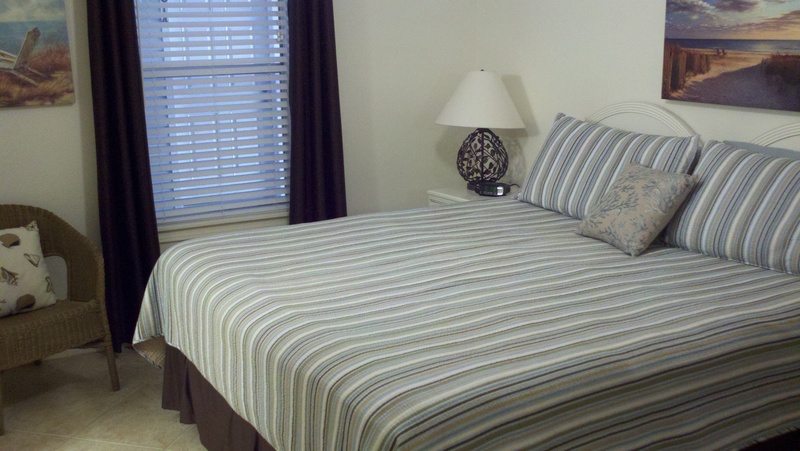 Click here for rates and to inquire about availability (on VRBO.com). PayPal and checks accepted. Contact owner for payment details. Note: Until confirmed, rates subject to change without notice. Property is individually owned and managed. You could be right here! Some of the nicest white sand beaches in the world. The sunsets are simply awesome!! !